We have a diverse production portfolio offering digital print for small to medium volume labels (no plates required) and Flexographic label manufacturing for medium to high volume economy production. With our Newfoil hot foil machine we can offer bespoke labels printed in metallic foils and also offer foil embellishment on labels printed on our digital or flexo presses. 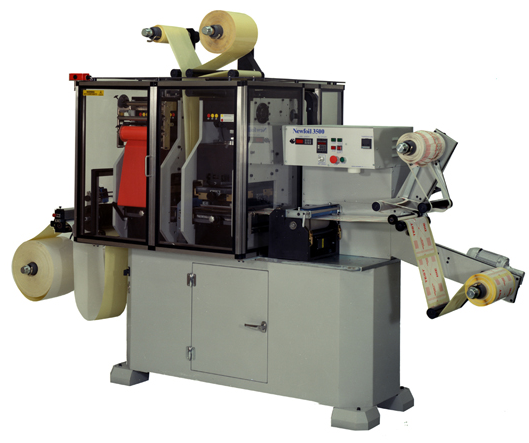 Our plain label machines are equipped with the tooling to enable us to produce labels on ½” and 1” cores for use in QL type printers and with our turret rewinder we can economically produce rolls of labels in short lengths. Black registration marks and special notches in labels is no problem. Sample packs and specific roll samples are available on request, Alternatively one of our external sales team would make themselves available for any informative meetings to discuss your current requirements or upcoming label projects.